Sweet Pea is a precious gentle soul. She was rescued in August, 2008 from a nearby property where trail horses are wintered. She was apparently thrown in as part of a horse trade deal 4 years prior. 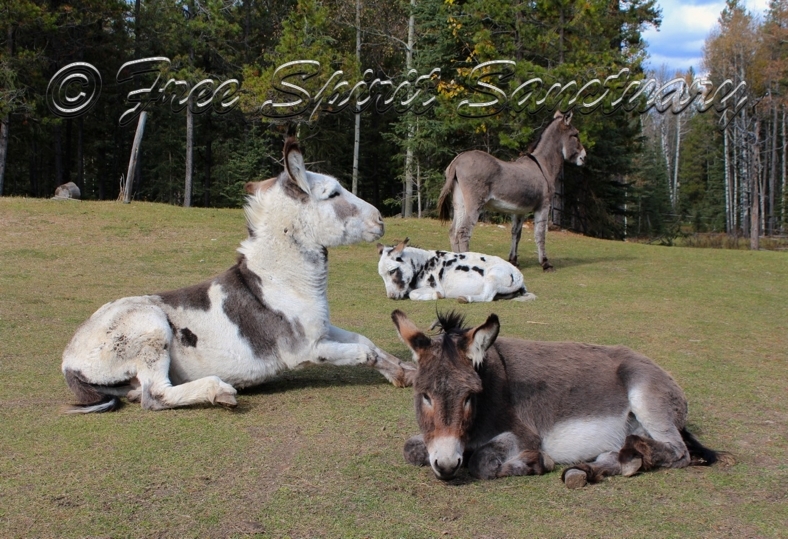 She was kept as a lone donkey and had not had any hoof care the entire time. 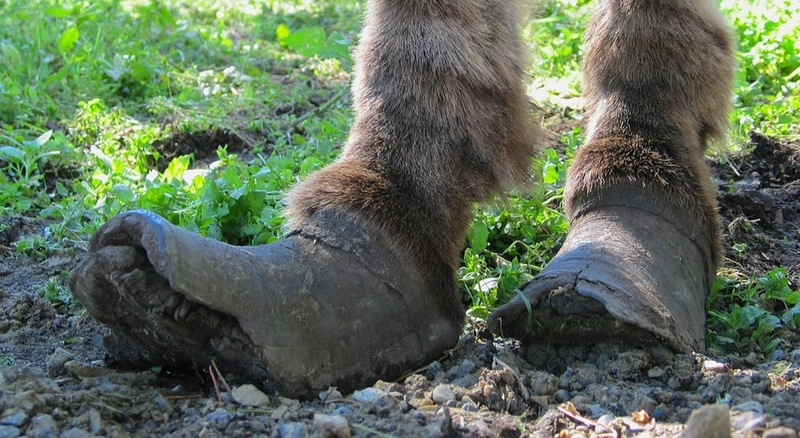 She had very long, curled up hooves that prevented her from walking properly. It was also apparent that she had been abused, flinching whenever someone moved quickly or raised their arm, which she still does to this day. 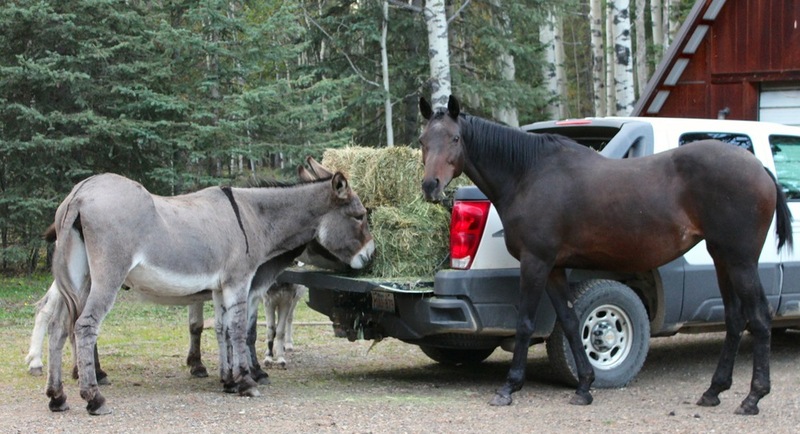 After her quarantine period she bonded very quickly with Wilbur, both very happy to finally have a donkey companion. It took several trims and gentle patience to get her hooves back to normal length. They say that donkeys never forget how they have been treated. Sweet Pea still, even years after her rescue, flinches when she is approached too quickly or you gesticulate while talking, and extra time and gentleness is required to trim her hooves. Despite all of this, she absolutely loves to hang out with people and get scratched on her neck and chest. For all she has been through she tries her hardest to connect with and trust people who show affection toward her. Sweet Pea's willingness to forgive and her courage to open her heart to connection with people is an absolute inspiration and blessing. Please help provide Sweet Pea with a safe, loving forever home here at FSS.